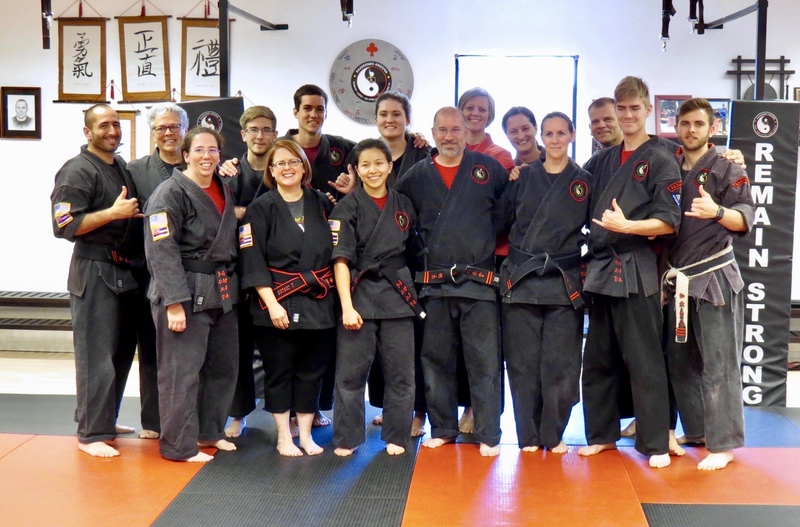 (July 30, 2018) — The grand opening of the new Kajukenbo AZ in Gilbert will take place on Saturday, August 4, 2018. The well-established Mesa- and Gilbert-based martial arts studio, nicknamed Kaju AZ, is relocating and consolidating into one spacious new facility at 888 S. Greenfield Road. The move is necessary to keep up with the growth of the local, family-owned business and comes just in time for the bustling back-to-school season. 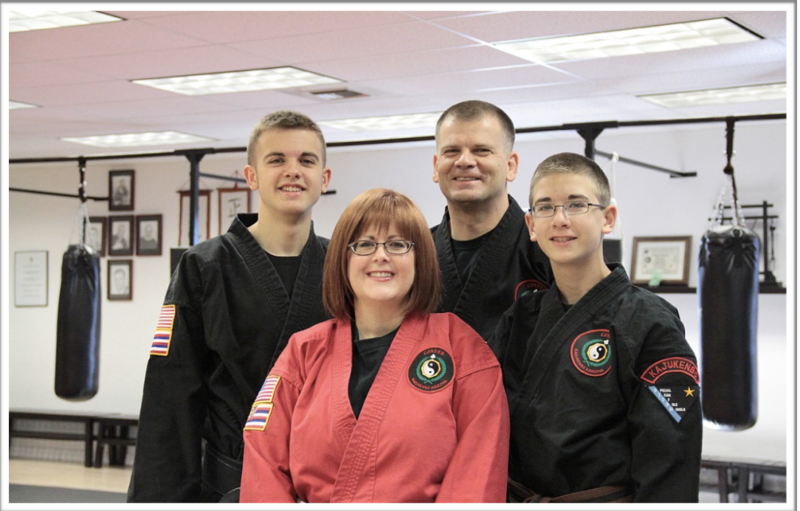 Husband and wife team, Kelly and Jennifer Corder, along with sons Nicolas and Cameron, have offered classes in the East Valley for about 18 years. Kajukenbo is known as America’s first mixed martial art, created in Hawaii in 1947 and utilized the best of five traditional styles. Kaju AZ blends traditional Kajukenbo with Hawaiian Kenpo from John Hackleman of The PIT (who has trained Chuck Liddell and Glover Texiera among others) and and Brazilian Jiu Jitsu from American Top Team’s Luigi Mondelli. The training is for anyone in any shape and of any age. A great deal of emphasis shared with all students is placed on anti-bullying techniques, self-defense in realistic scenarios by means of kicks, grabs, holds and methods of using ordinary objects as weapons. The goal is for each person who is trained at Kaju AZ to be aware, confident and prepared to defend him/herself in everyday situations. “[In addition to] age appropriate techniques, we also teach our kids to become goal-oriented, strive for academic excellence, increase their self-confidence and develop a fitness-for-life mindset,” notes Jennifer Corder. To launch the latest Gilbert location, new students can secure a Back-to-School Special beginning in August, for only $49. 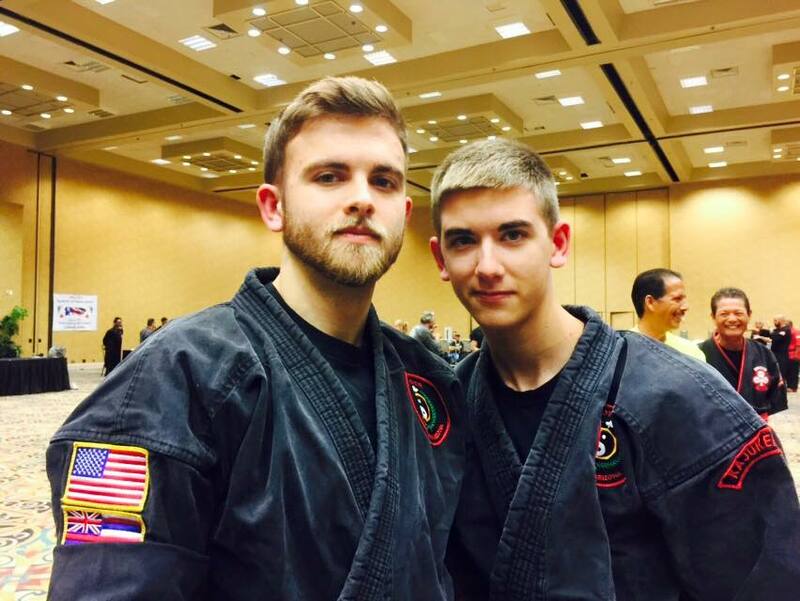 This includes four weeks of instruction in Kajukenbo-style martial arts and a complimentary uniform. There are classes twice a week for youth aged five through 15, along with weekly open mat opportunities. Additionally, each year Kaju AZ offers free quarterly self-defense seminars for women and children, along with orchestrating an annual blood drive in partnership with the Red Cross. Quarterly community involvement and philanthropy attitude are two concepts the Corder’s strive to exhibit in everything they do. The next self-defense class is slated for Sept. 1st, 2018, at the new Giilbert location. RSVP is required. For more information visit https://www.kajuaz.com.